Penny is approaching 40, single, with no friends and a job that is sucking the life out of her. Even her family don’t think she will ever amount to much. Desperate to turn her life around she quits her job as a school nurse and manages to find a job working in the oncology ward at her local hospital. 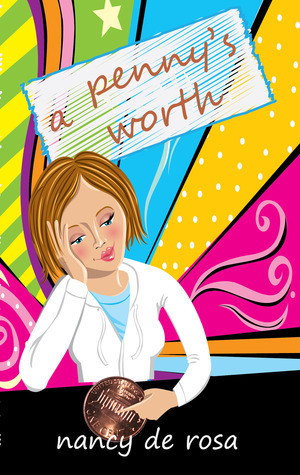 Caring for cancer patients she is able to find the self worth that has eluded her. But every step forward she takes, her critical and overbearing mother is dragging her two steps back. A Penny’s Worth is very much a Cinderella story, complete with the wicked step-mother and sisters. It’s a fairytale for adults which never gets overly complicated and always manages to stay positive and upbeat. Many thanks to Fingerpress and Netgalley for providing me with this ARC. This entry was posted in Uncategorized and tagged A Penny's Worth, chick lit, Nancy DeRosa, romance by setaian. Bookmark the permalink.